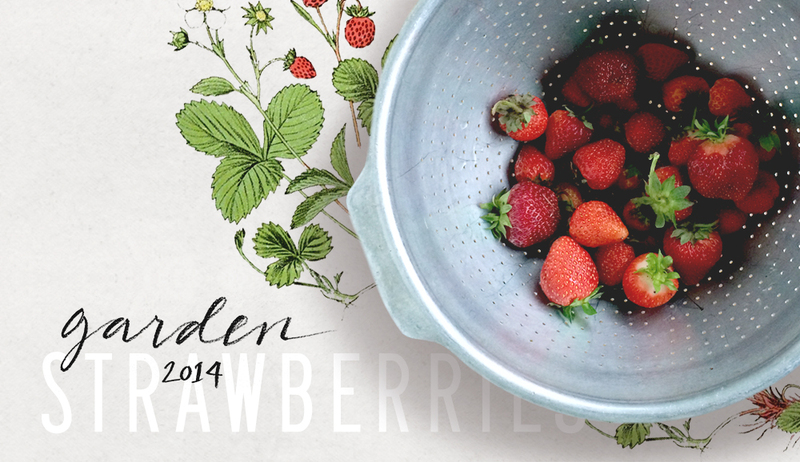 Garden 2014: Strawberries, at last. When we first started our garden, there were only a few things that Andrew was dead set on growing. Lettuce, potatoes, corn, and strawberries. Lettuce, check. Potatoes, check. Corn and strawberries, eh not so much. Every single year, something went awry with our strawberries. Until this year! We finally have a bumper crop – if we can manage to keep the animals and bugs (and little kid fingers) in check. We’ve managed to keep the animals and kids at bay with fencing and netting. However, slugs are a problem. I see them everywhere leaving their disgusting foamy slug trails! How rude! A friend on Facebook suggested beer traps, which I have yet to try since we don’t have beer readily available in our house and I can never remember to get some. Andrew used to work/live on an permaculture homestead out in Washington state, and they have HUGE slugs out there. Like, cartoonishly big. Like if you accidentally stepped on one it would make a pop/crunch sound! Yuck. The people he lived with would crush up egg shells and sprinkle them around each strawberry plant because apparently the slugs don’t like to crawl over them – a similar concept to Diatomaceous Earth I suppose. 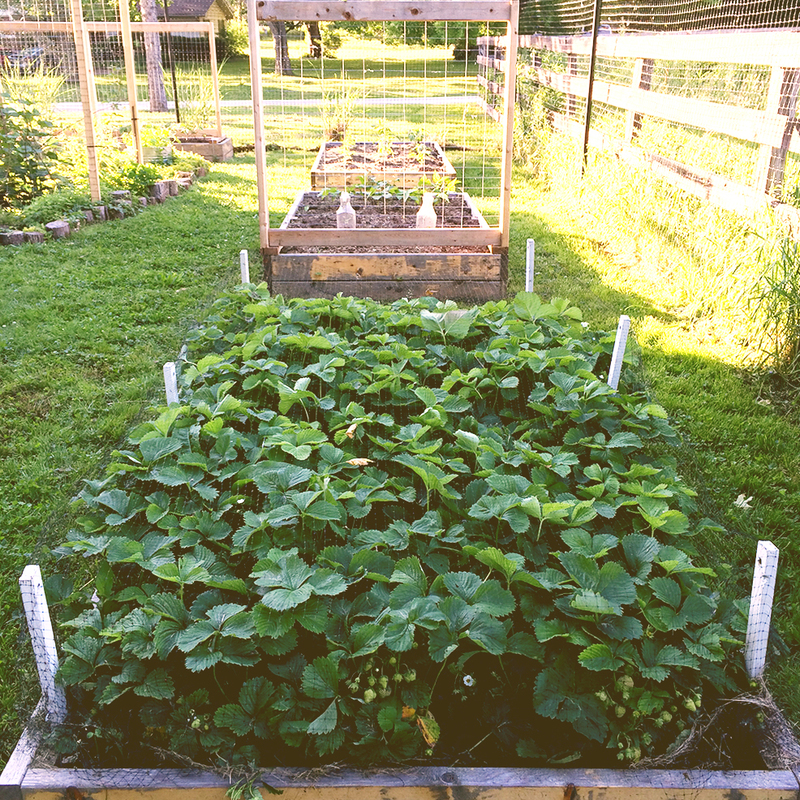 Our strawberry patch is way overcrowded to do that, which probably isn’t helping our slug problem either. Too many plants in one area give slugs lots of hiding places! In past years, we were fighting battles on many fronts, with deer and birds being the main culprits. But we also weren’t doing ourselves any favors. Last year we finally wised up and planted mainly June-bearing plants (as the name suggests, they bear a large crop of fruit in June) with a few ever-bearing (produce fruit all season) mixed in. Previously, we had only planted ever-bearing varieties, the rational being: who the heck wouldn’t want strawberry plants that produced fruit all season rather than all at once? Sounds good to me! Well, there are trade-offs to continuous production. Yes, ever-bearing produce fruit all season but not as many at one time and Quil would pick and eat them right away and no one else would get any! 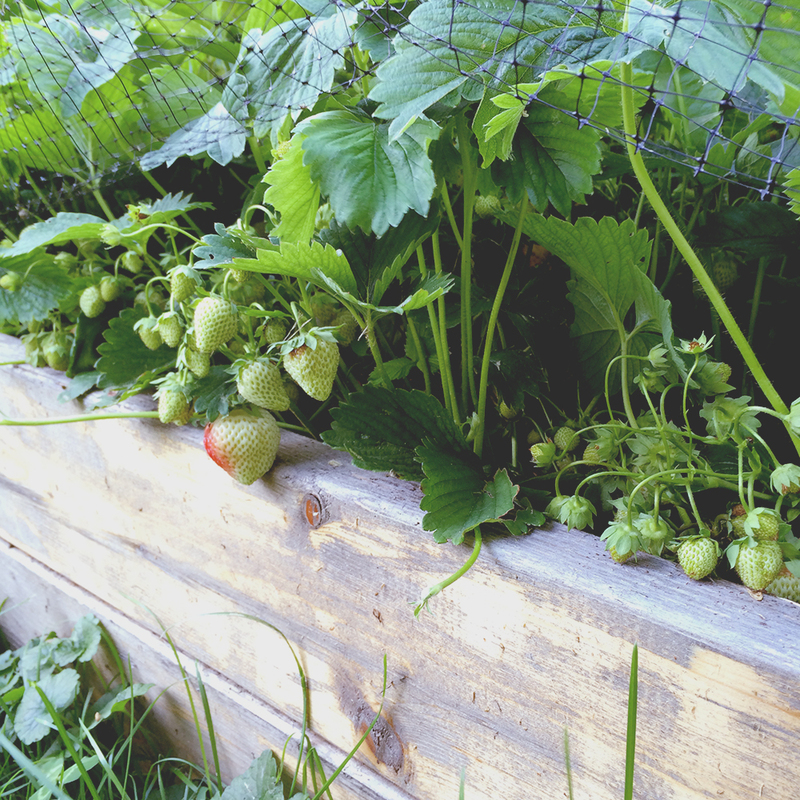 Another obstacle in growing strawberries is that it takes some patience. Sometimes it can take up to three growing seasons for plants to reach full production potential to grow in any sort of abundance. 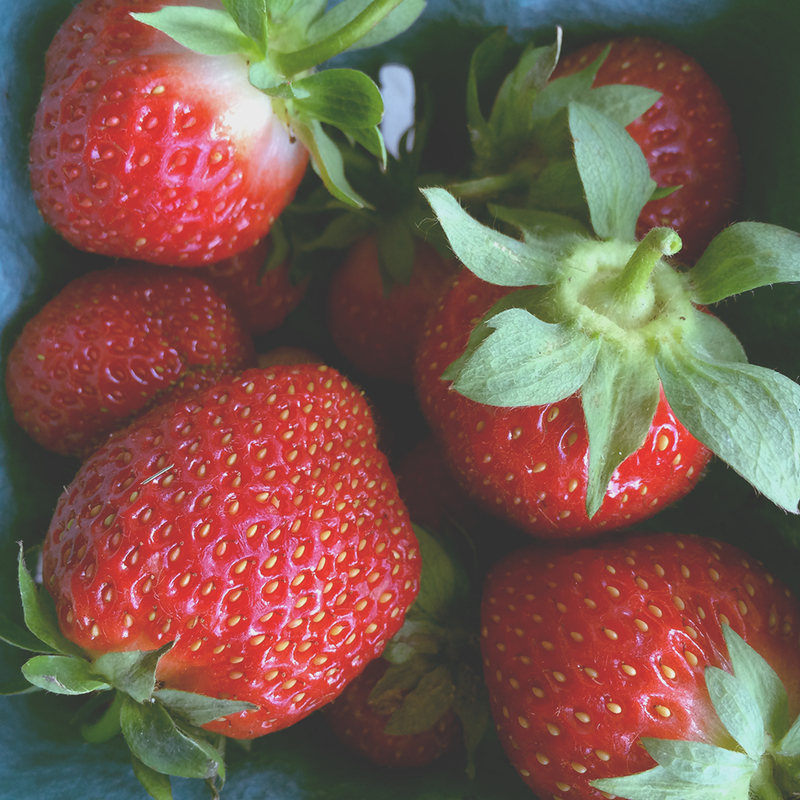 Growing berries is a good reminder of the luxury it is to go into a store and buy berries at any time of the year. The accessibility has tricked us into thinking that when we try to grow our own food, that it should be just as easy as buying it or it’s not worth the effort. 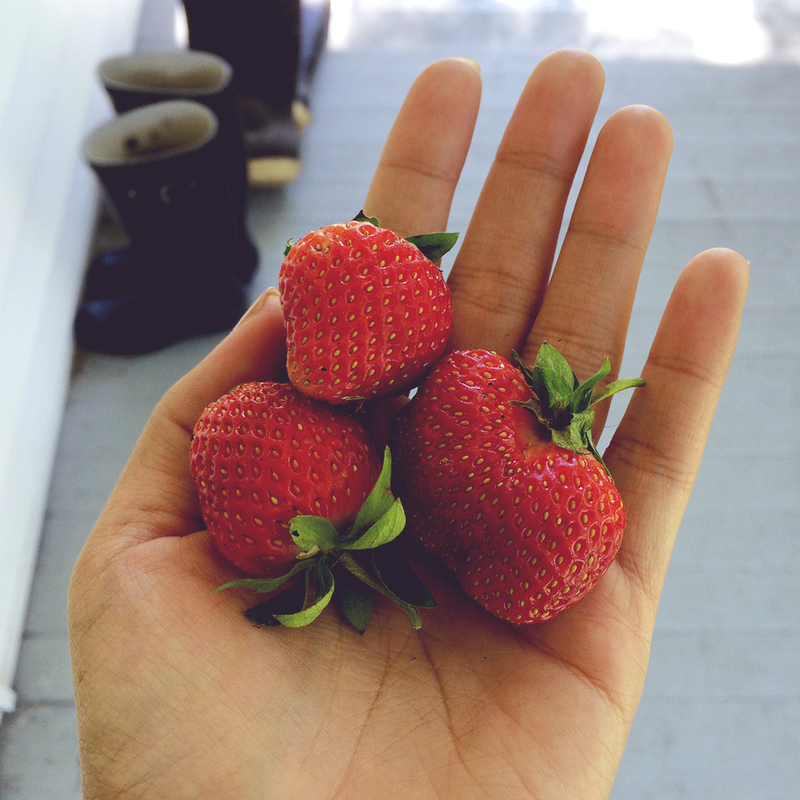 But I would encourage everyone to get your hands on some homegrown strawberries by either growing them or from the farmer’s market, it’s hard to go back to store bought. They are THAT good. One thing that I believe we did right this year was that we fertilized these suckers with compost and alpaca manure. 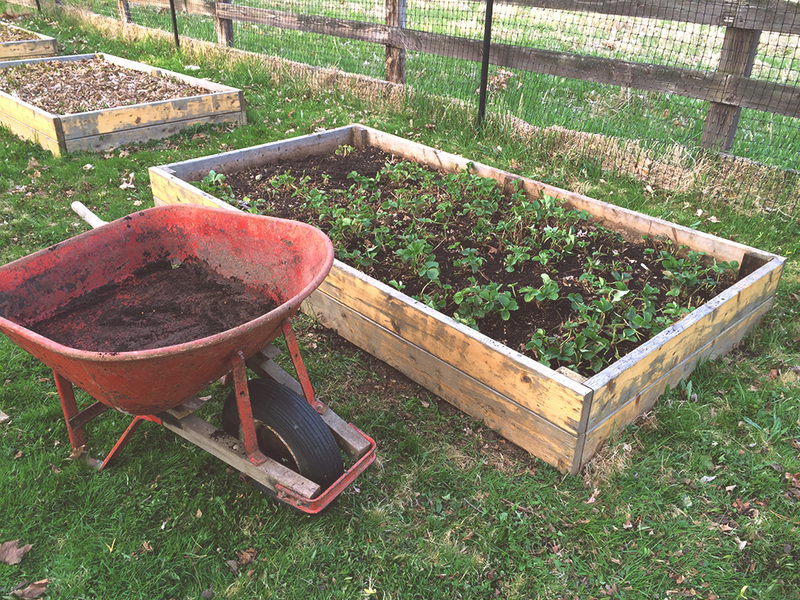 Strawberries love nutrient rich soil, so I believe that helped a lot. Thanks Shalamar! We have some serious chipmunk problems. The netting has kept them at bay, but I forgot to cover them back up one night after harvesting and Andrew said he looked out the window the next morning and saw a chipmunk jumping out of the strawberry bed with a strawberry in it’s mouth ha! You should get a little fence!